Arguably the best Multistrada ever made, the Pikes Peak Edition is more than just a sticker package. 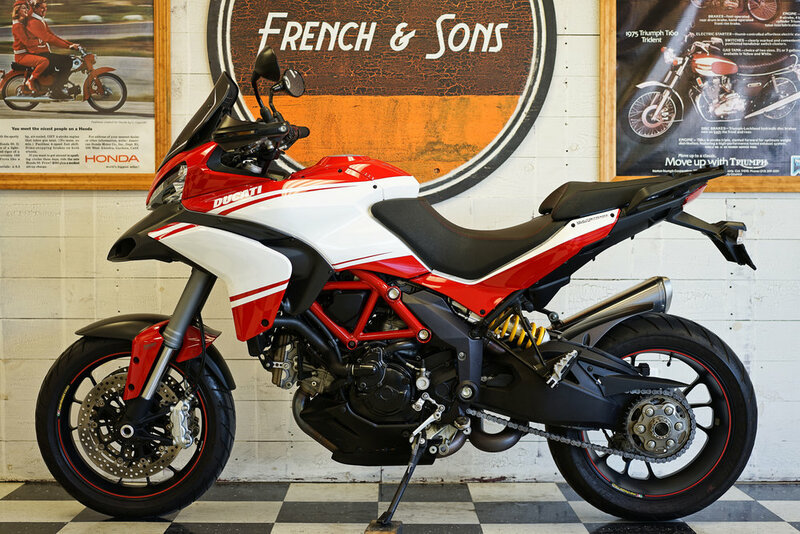 When you consistently break records at one of the world's most prestigious hill-climb races, you have to give the people a little taste, and that is exactly what Ducati did with the Pikes Peak Edition Multistrada 1200. Below is a list of all the specifics that make the Pikes Peak unique. The importance comes from what those components make as a whole. This is one of the bikes that can truly do just about anything. It may get a little squirrelly off-road, but with the right set of tires you've got the ground clearance and the torque to make a go of it. The bike feels as comfortable on the track as it does on a cross-country trip. This is much do with the ergonomics and the fantastic tune given with the accessory Termi System, but is largely due to the riding modes. So often it is said that riding modes on certain vehicles don't make difference. This couldn't be further from truth when it comes to this bike. The riding modes completely transform it from a docile commuter to full on mountain racer. This machine can get gnarly in hurry, so watch out. This particular example is just about new. It only has 3700 miles on it and has stayed in a climate controlled shop since new. 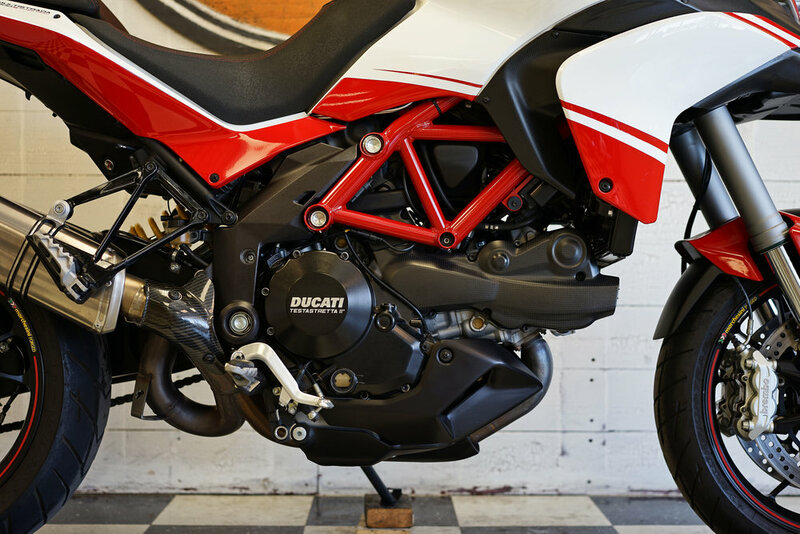 Few additions have been made, the most important being the Termignoni Full Exhaust System including a higher-flow air filter and a specific tune from Ducati. This bike is surely not going to last on the showroom long, so strike while its hot.